Sahar Pavilion is located right in the heart of Bangalore city. The venue has a simple yet elegantly designed banquet perfect to celebrate a pre-wedding function or a small and intimate wedding ceremony. With main city attractions, airport and station closely situated, Sahar Pavilion makes the commute very easy and comfortable. It is located near the famous PMR Towers which is well-known among the locals. The Sahar Pavilion Bangalore serves flavoursome delicacies in both vegetarian and non-vegetarian food. The lavish décor of the venue gives a special touch to your big day. 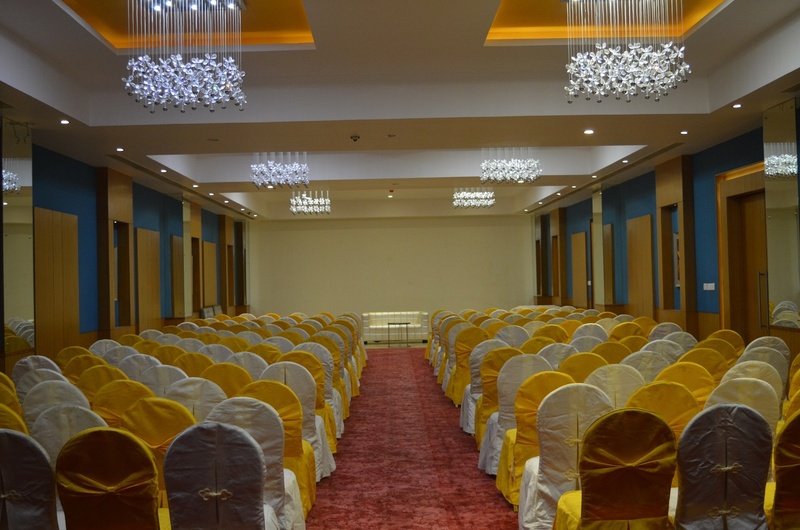 The Sahar Pavilion Hotel Bangalore has a spacious banquet hall that can fit a large gathering for your function. The venue has luxurious rooms for the guests which gives them a comfortable stay. Book The Sahar Pavilion, Hosur Road, Bangalore for your forthcoming events to make them happening. The The Sahar Pavilion located in Hosur Road, Bangalore has Wedding Hotels, Cocktail Venues and Banquet Halls. De Sensation can accommodate upto 250 guests in seating and 400 guests in floating. Vegetarian and Non Vegetarian food is served at this venue. Features of this wedding venues are : Food provided by the venue , Non-Veg allowed at the venue , Alcohol allowed at the venue , Outside alcohol allowed at the venue , Halls are air Conditioned , Ample parking , Baarat allowed , Fire crackers allowed , Hawan allowed , Decor provided by the venue , Packages starts at Rs 650 per plate for vegetarian menu and at Rs 750 for non veg menu. Decoration starts at Rs 20000.